One of the most popular window treatment options are Silhouette® window shades by Hunter Douglas.These shades are created with specialty fabrics and offer a unique combination of sheer drapery and window blinds. 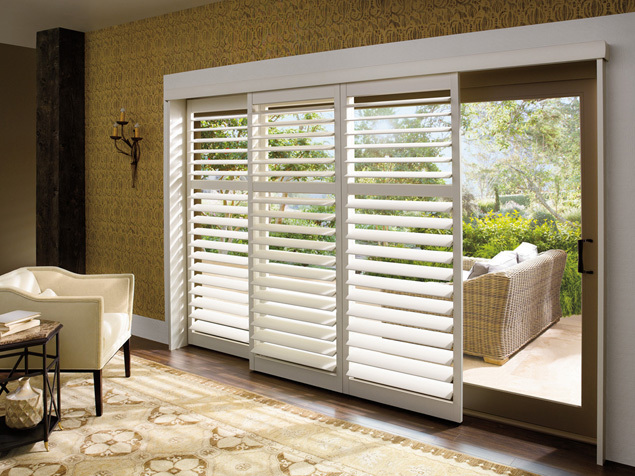 As a Burlington, MA Hunter Douglas Gallery, we are very familiar with this product. We often get asked about the pros and cons of this popular window treatment, so here are a few to consider. One of the best features of Silhouette® window shades is that it welcomes sunlight into your home while still providing some privacy. Most of us enjoy sunlight but don’t necessarily want it beaming into the home. However, we don’t necessarily want to pull down the shades and completely block that sunlight either. We also want privacy without excluding sunlight. The sheer fabric of Silhouette® window shades addresses all of these concerns by softening sunlight and providing what HunterDouglas calls “discreet privacy.” You can even adjust the shades to increase or decrease the amount of privacy and light, achieving the perfect combination for your personal preferences. 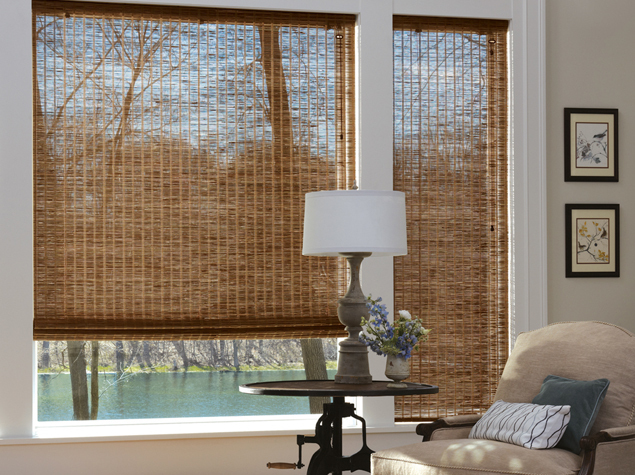 Another great feature of Silhouette® window shades is the UV protection. 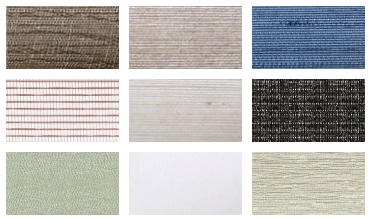 Depending on your fabric selection, you can filter up to 88% of harmful UV rays from the sun. This is healthy not only for your family, but it can also protect your home furnishings from fading and other sun damage. Most people mistakenly think that Silhouette® window shades come in only full white. This is actually not true! You can actually select different colors and patterns. There are also options for front and back sheers, known as Silhouette ClearView™, or room darkening roller shades, known as Silhouette Duolite™. With so many options and choices, you can get exactly what you need with HunterDouglasSilhouette® window shades. 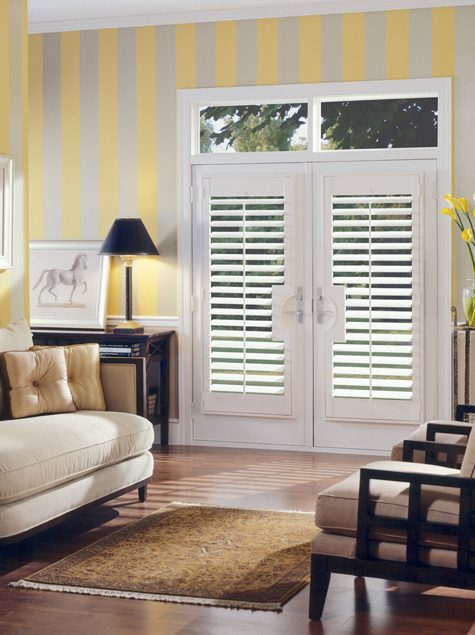 We’re huge fans of Silhouette® window shades and think that they would be great for almost any home. However, if cost is a factor, then they are not the most economical choice. They are truly high-end window treatments with a corresponding price tag. You get what you pay for and most of our customers will tell you that they are well worth the cost! HunterDouglas has also released some less expensive alternatives that may make it more feasible if the normal Silhouette are beyond your budget. If home insulation is your primary goal, then Silhouette® window shades are not the best choice. Although they offer some light insulating value, they were not designed for insulation purposes. Ask us about other options for window insulation. This one really isn’t a con, but an observation and consideration. Silhouette® window shades are a high-end window treatment that provide a high-end look. Thus, they are often seen as very formal looking and feeling. As we mentioned, not really a con unless you specifically want to avoid a formal appearance altogether. If you haven’t seen Silhouette® window shades in person, stop by our Burlington MA showroom. We carry this and many other HunterDouglas window shades and blinds. Our design experts can help you evaluate different options and select window treatments that fit your space, decor, and budget!